Group homes for troubled boys are the ideal place for teens to go when they cannot be successful at home or at school any longer. The best and most impactful programs are designed to include all types of treatment methods that have been proven to work on teens. Parents of troubled boys often choose the first group home they come across, without doing any research. That’s why teen boys are extremely fortunate when their parents enroll them in a group home with high standards and a consistent success rate. Liahona Academy is happy to answer questions from parents who are interested in learning more about group homes for troubled boys. All they need to do is call 1-800-675-8101. There’s simply no better way for teenage boys in trouble to get the structure and support they need than a place like Liahona Academy. It’s a residential treatment program that gives teens another shot at getting their problems sorted out. 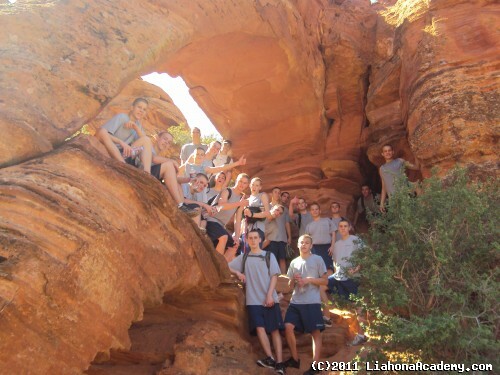 While Liahona Academy specializes in teens with issues like depression, anxiety, substance abuse, addiction, abuse trauma, bipolar, oppositional defiant disorder and more, just about any teen can enroll here and make changes to their lives. Mental illness, emotional disorders, and behavioral problems are all dealt with at Liahona Academy. Not all group homes are the same, and Liahona Treatment Center has a fine reputation that leads to outstanding results. The specialized staff, including caring mentors, qualified therapists, dedicated teachers and involved administration, allow parents of troubled teens to enjoy peace of mind that their child is getting the help they need. Liahona Academy is also located in a city and state that enacts very strict regulations and laws about how residential treatment programs, therapeutic boarding schools, and group homes must be run. This means that it exceeds some of the toughest standards in the country. There’s no end to all the reasons why parents should choose Liahona Academy. Teenagers can’t deal with mental health issues all on their own, so they must rely on their parents to provide them with structure, therapy, and other helpful recovery programs. When teens are unable or unwilling to take the help offered to them, they often turn to risky behavior that gives them a feeling of control or at least covers up the pain and frustration they feel. Did you know that just 83 percent of teenagers in the country ever graduate from high school? Before they were 13 years old, more than 20 percent of teenage males in the country tried alcohol. In the previous 30 days, more than 33 percent of teens have had alcohol. The suicide death rate for the US is 12.97 per 100,000. Worried parents from the East Coast to the West Coast are wondering what they can do as they watch their teenage sons put their health and the well-being of others at risk. It’s never too late to get professional help for a wayward teenager. Sometimes, a group home is the only option, especially when parents have exhausted the community resources available to them. Any interested parents should check out Liahona Academy and see how our residential treatment program might be a better option than a group home or therapeutic boarding school. Teenagers are certainly going to benefit when they start their life in a group home like a resident therapy school or therapeutic resident program. That’s because the teens are removed from all those negative influences in their lives like bad friends, frustrated parents, and indifferent teachers. The teen boys are placed in a supportive and nurturing environment and surrounded by people who know how to mentor and guide struggling adolescents. It doesn’t take long for teens to feel the compassion of the staff members at the group home and get some solid guidance on how to deal with their mental health and emotional issues. There’s always going to be a place for struggling teenagers at a group home, especially Liahona Academy. Without such an active force in their lives, teens will just continue on, trying to deal with life’s difficult challenges on their own. As their behavior gets riskier, their health and wellness are at greater risk. Parents are giving the ultimate gift to their children when they enroll teens in a group home for troubled boys like Liahona Academy. Parents will do anything to see that their struggling teen boy gets all the best help, and sometimes that means letting them attend a therapy resident school far from home. However, as difficult as that is to do, many parents would not deny their teen a chance at a better life than the one they are currently choosing for themselves. When it’s time to make that hard decision, parents will choose the success of their troubled sons every time. Places like Liahona Academy know what it takes to turn bad behavior around and get teens pointed in the right direction. For more information on Liahona Academy and how it can transform the lives of teens and their families, please call 1-800-675-8101.